The straw color in the glass reminded me of a Carneros Chardonnay, the wide tropical fruits blooming like they do under a bit of summer heat, tempered by cool nights and winter fog. 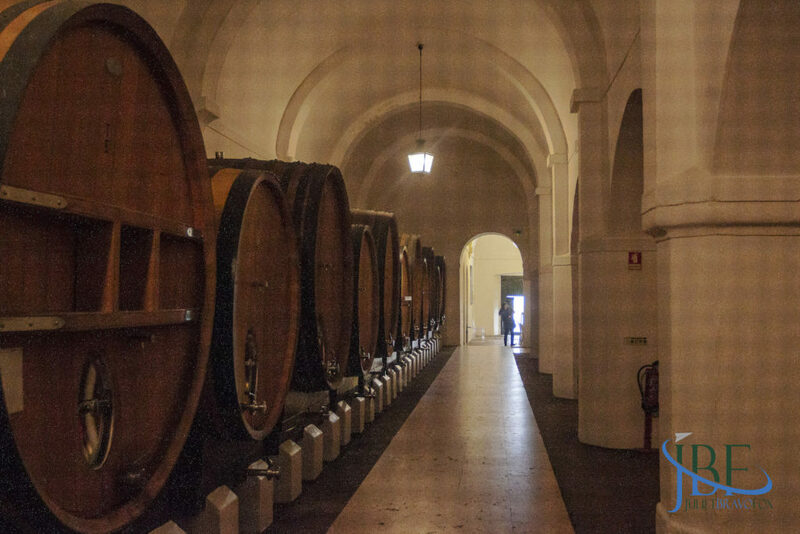 The touch of spice from judicious use of wood against the grain of the grapes aging in the barrels. 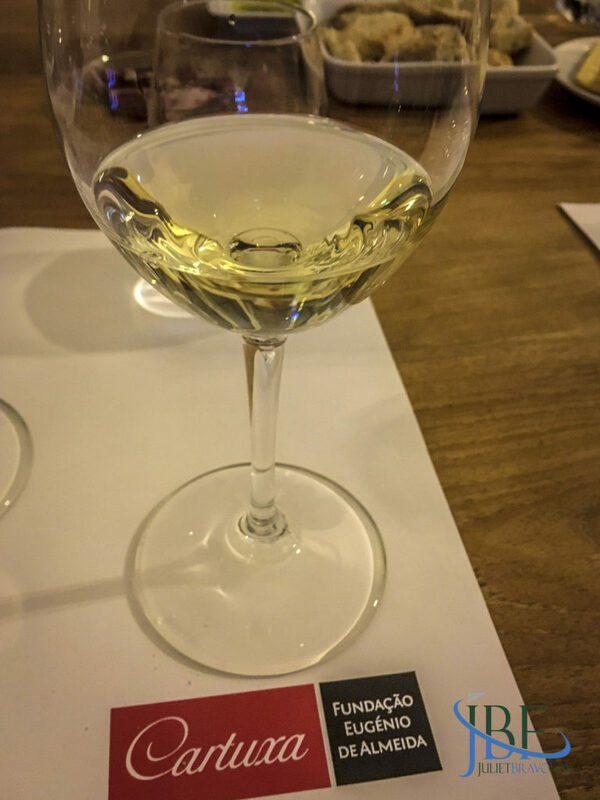 I’d imagined where the wine came from within Portugal—because it wasn’t quite the Douro white blend, or the coastal Arinto—but something rich and approachable. 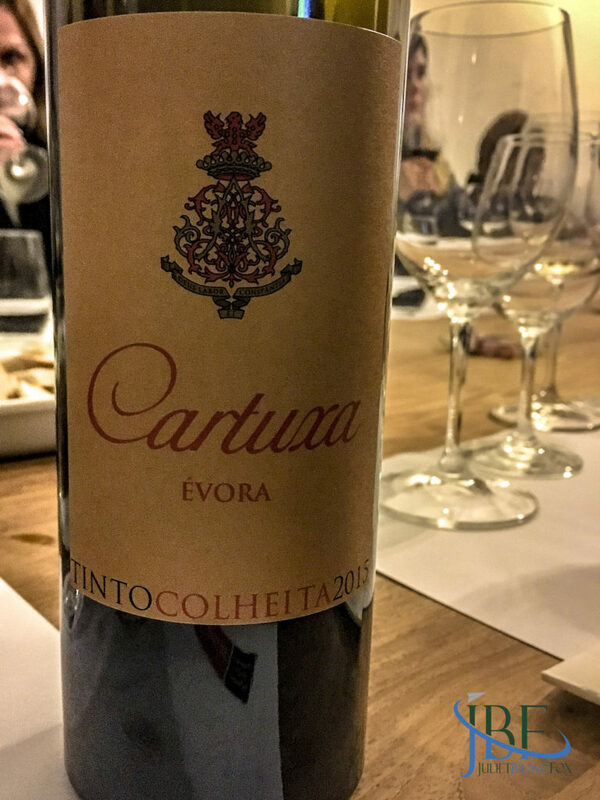 That was a Cartuxa 2011 vinho branco, and on my trips back and forth to the States before moving here, it was the bottle I took over most often, to try to explain the breadth of wine I found here. 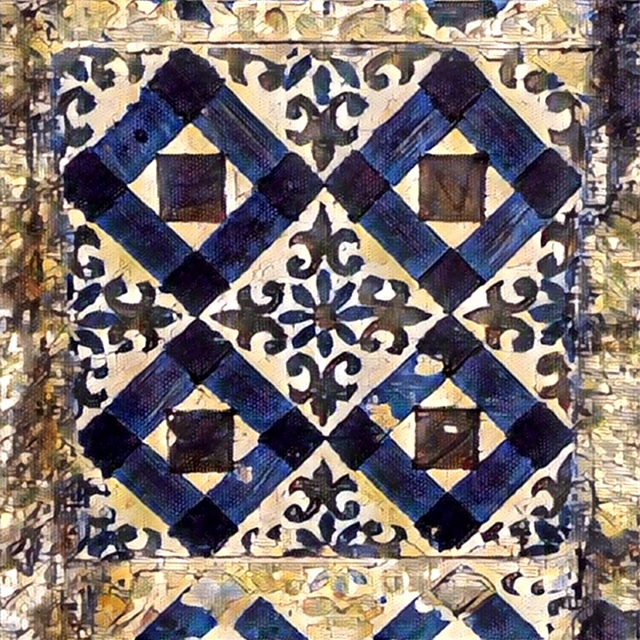 The Cartuxa mark is the trading name for mid-priced wines made by the Fundação Eugenio de Almeida in Évora, in the heart of the Alentejo. Its flagship wines, the Pêra-Manca tinto and branco, and its value line, the EA brand found often in restaurants and by the box across Portugal, make for a worthy portfolio. As we found during our visit, however, the Fundação has more to offer, many projects that leverage the bountiful fields around the historic town. 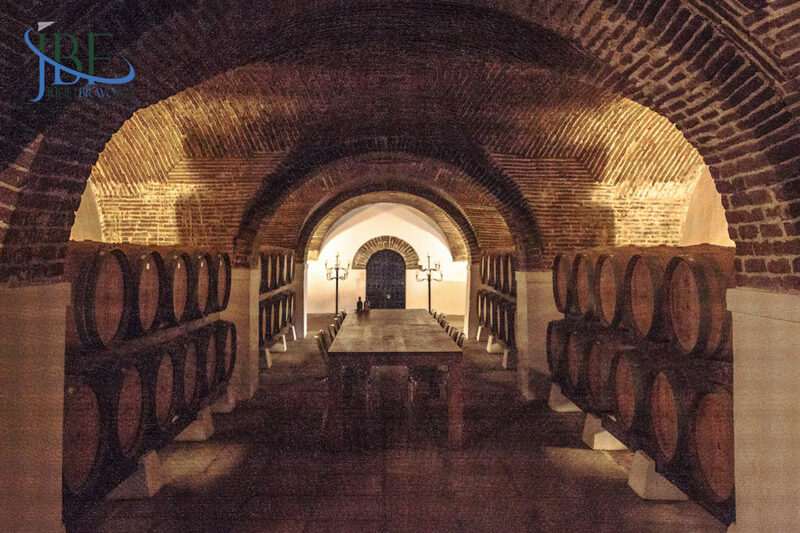 We joined a tour and tasting experience in January 2019, with a group that ranged from local Portuguese to a duo of visiting doctors from Brasil. 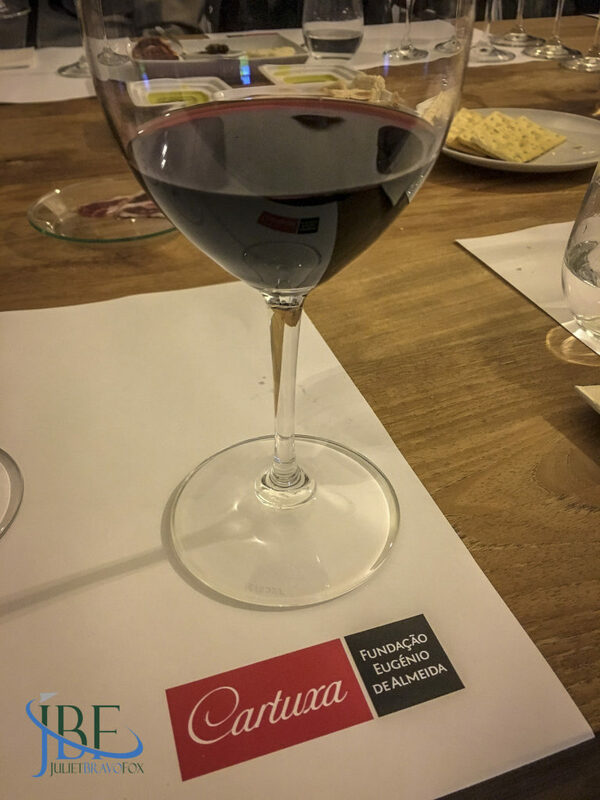 João, our host, had just graduated from the first of what will likely be a lifelong series of courses on enology, and he guided us through the main buildings of the Fundação and then through our tasting. 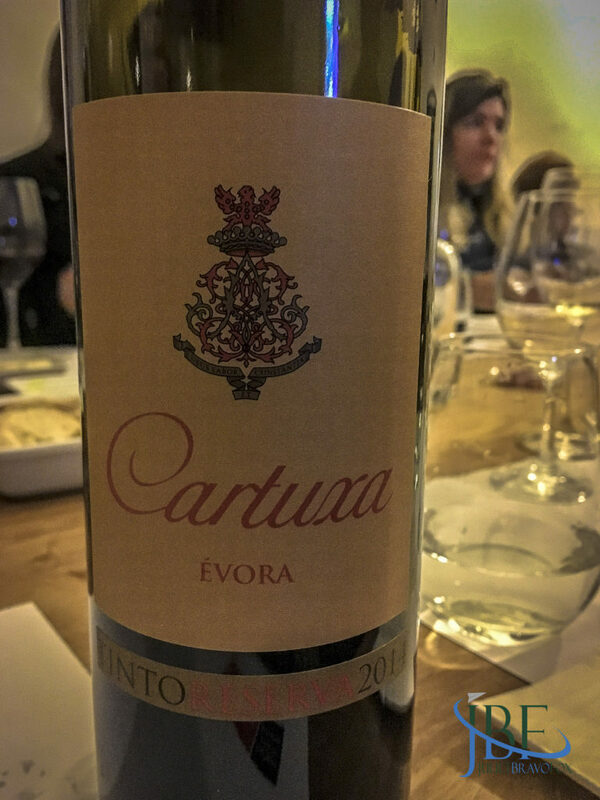 The name Cartuxa comes from the Cartuxa Monastery, which neighbors the winery. Built between 1587 and 1598 by the Carthusian order, it fell to ruin after the monks were expelled in 1834 by revolutionary forces. The Eugenio de Almeida family acquired those ruins, and restored them, along with Order of Saint Bruno. It remains a site of deep contemplation today. 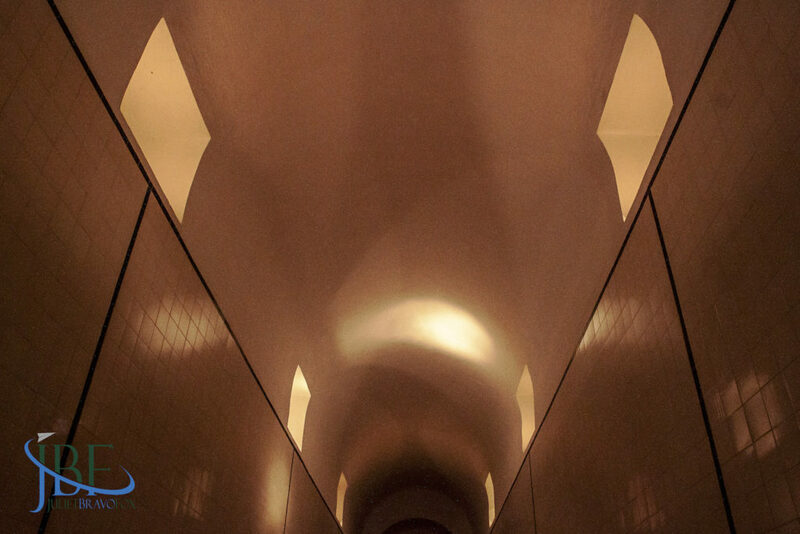 While the tour doesn’t take you behind those monastery walls, the same sense of peace echoes through the similarly historic buildings of the adega’s Quinta de Valebom. 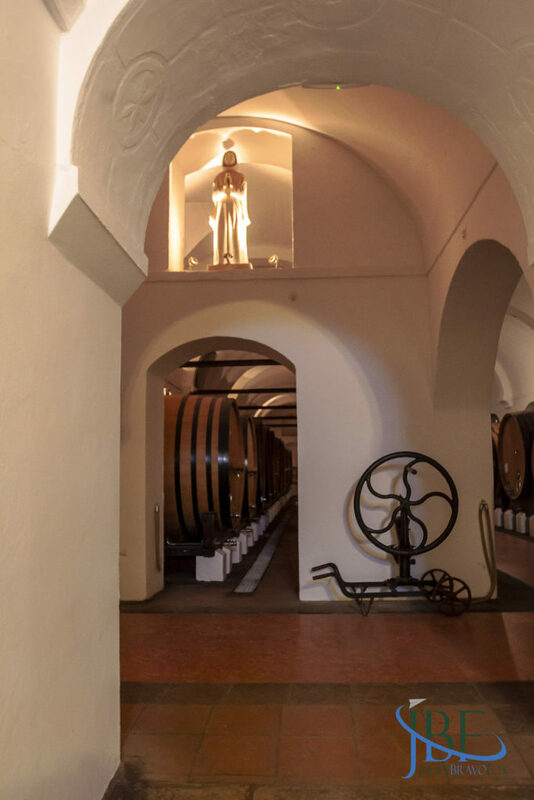 We walked through the main warehouse, in which the imposing, restored tonneis stood holding their wines, and João told us it had been used as the cooperativa for regional winemaking since around 1770. 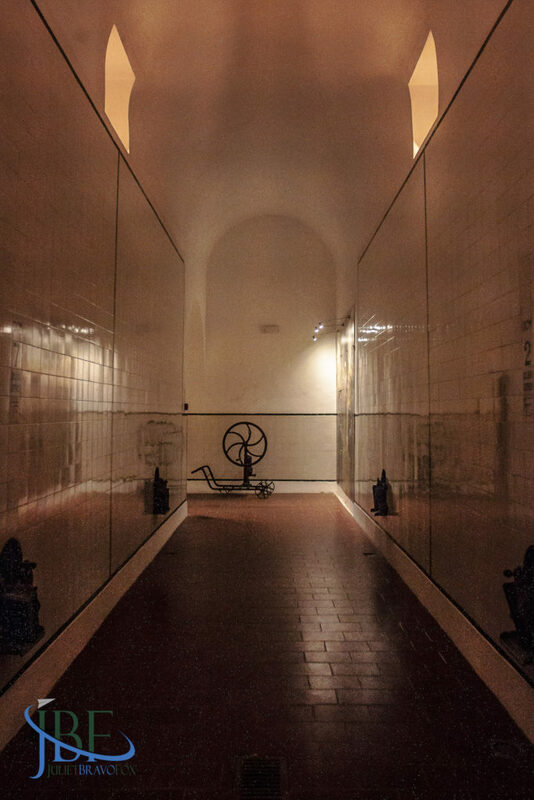 Today, the lovely Pêra-Manca tinto is aged for four years within these same walls. 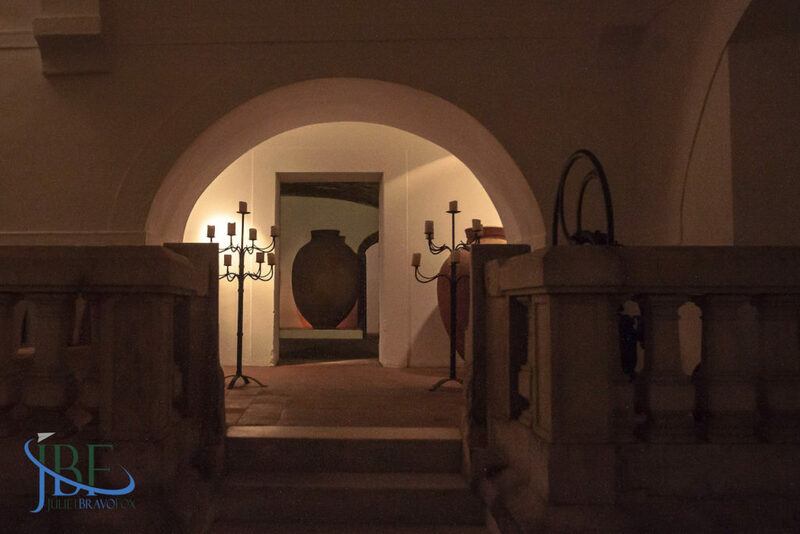 The old-style cement fermentation tanks set in the walls are also still in use, along with several wines fermented in the talhas, or cement urns unique to the Alentejo—and similar to cement “eggs” used in other winemaking regions of the world. 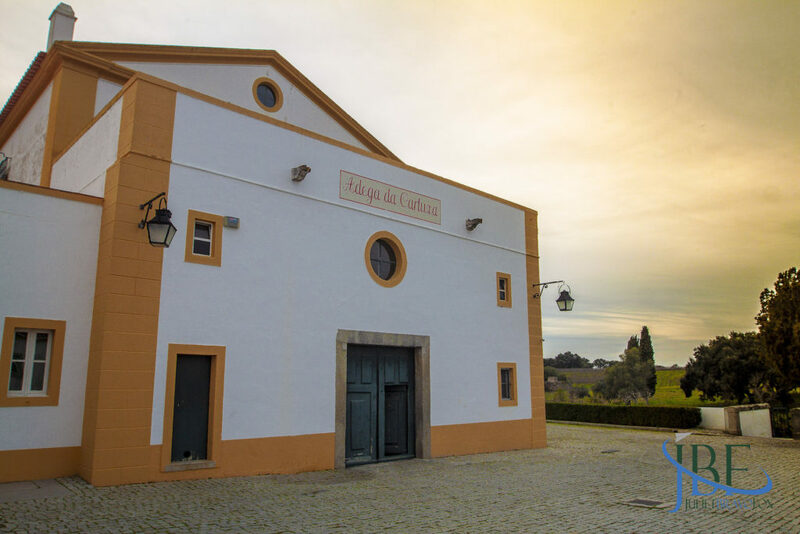 The high-tech part of the operation takes place nearby, in Monte do Pinheiro, where new presses, a laboratory, fermentation tanks, and a bottling line provide for the major production components of the EA and Cartuxa lines, along with the Foral da Évora and Scala Coeli. The local olive trees are also harvested for a series of fresh, grassy, spicy olive oils that we tasted along with the wines. 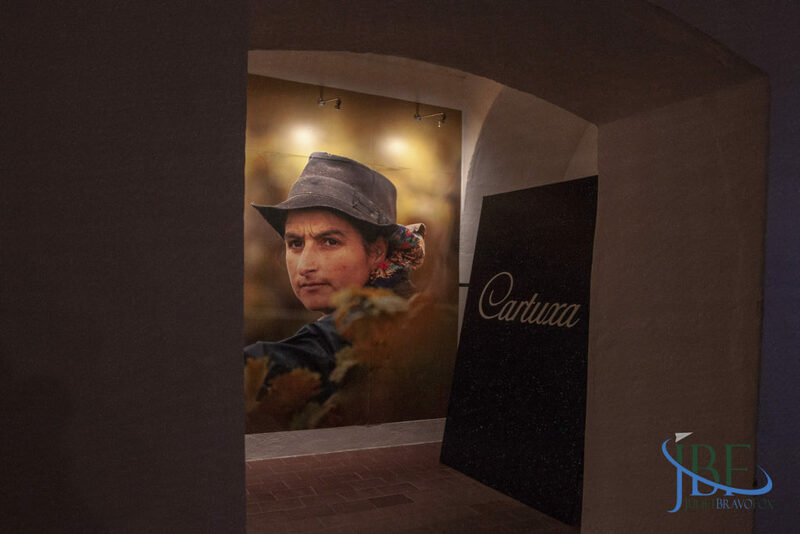 There are several types of tastings available within Caruxa’s enoturismo program; we selected the premium Sto. Ignacio de Loyola prova, with five wines chosen from the range of the Fundação’s wines (excepting the Pêra-Manca tinto, which must be purchased by the bottle, and separately, as it is in such low supply and high demand). 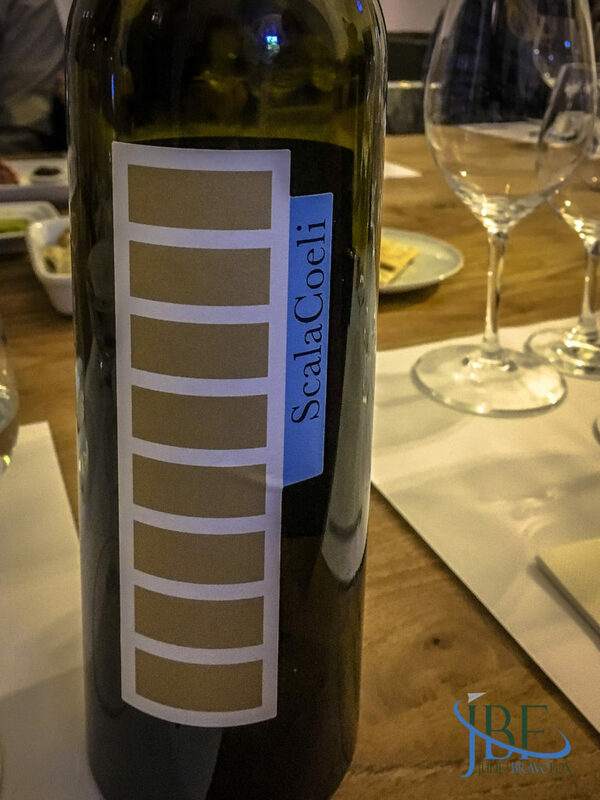 Our tasting included the delightful branco from the Scala Coeli series, which features a different grape variety each year—and typically ones not found in Alentejo. 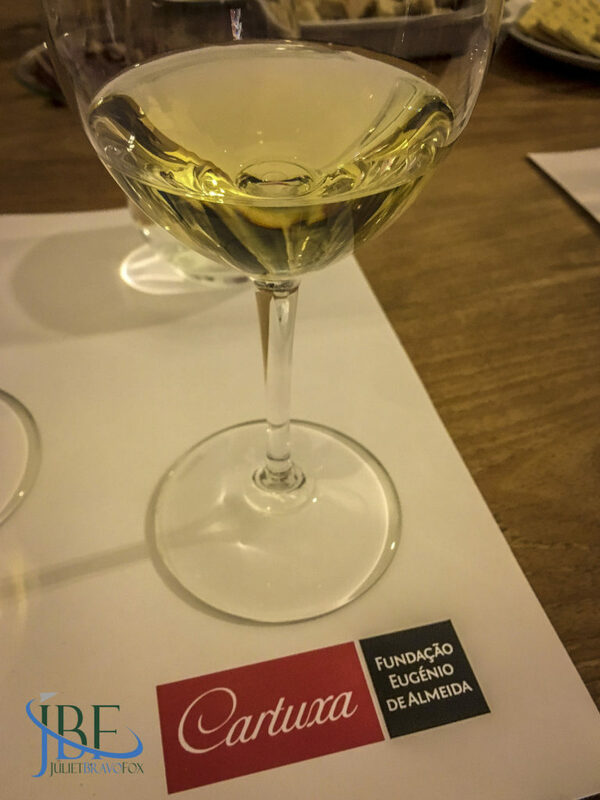 For our tasting, we had the 2016 Encruzado, a white grape closely associated with the Dão region in north central Portugal. It spent two months in the tonneis, then into stainless steel (“inox”) for a second fermentation for greater complexity. 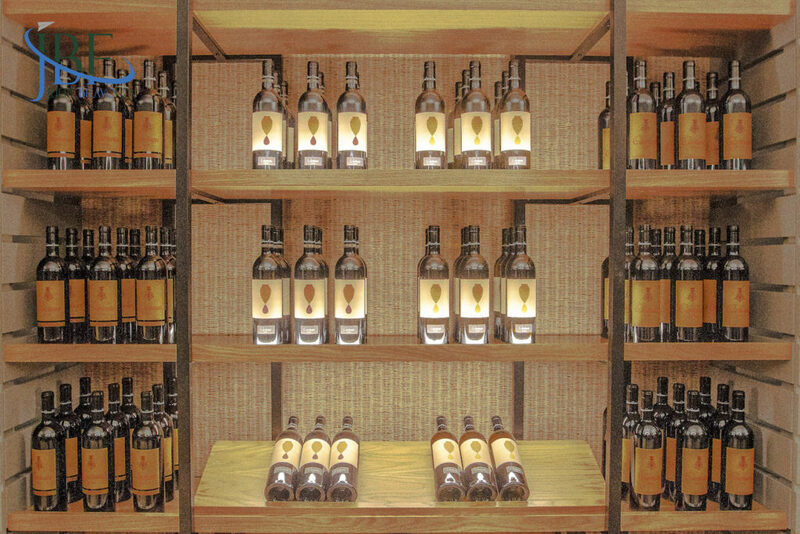 Only 3,500 bottles were produced of this buttery and tropical wine. 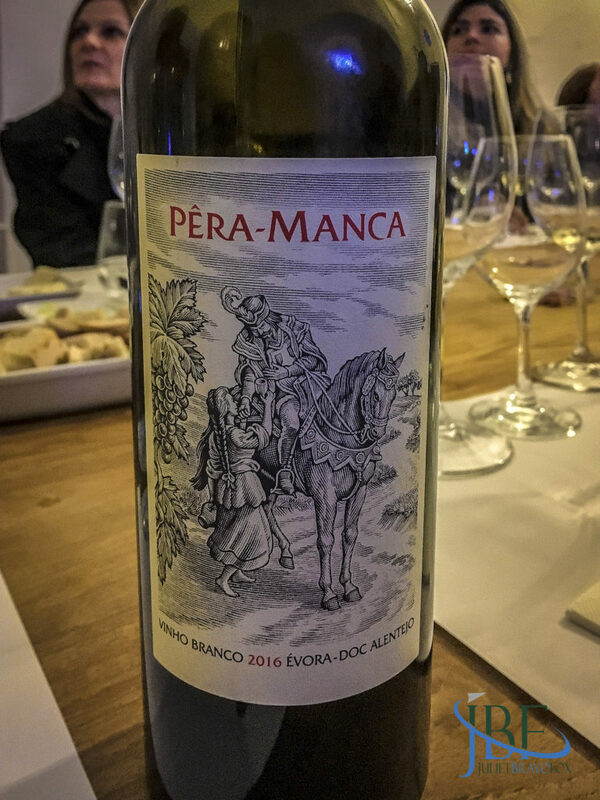 We enjoyed the Pêra-Manca branco, a blend of Antão Vaz and Arinto grapes, and found it fresher than the typical Alentejano white—and perfect acidity to cut through a rich polvo lagareiro or bacalhau entrée. 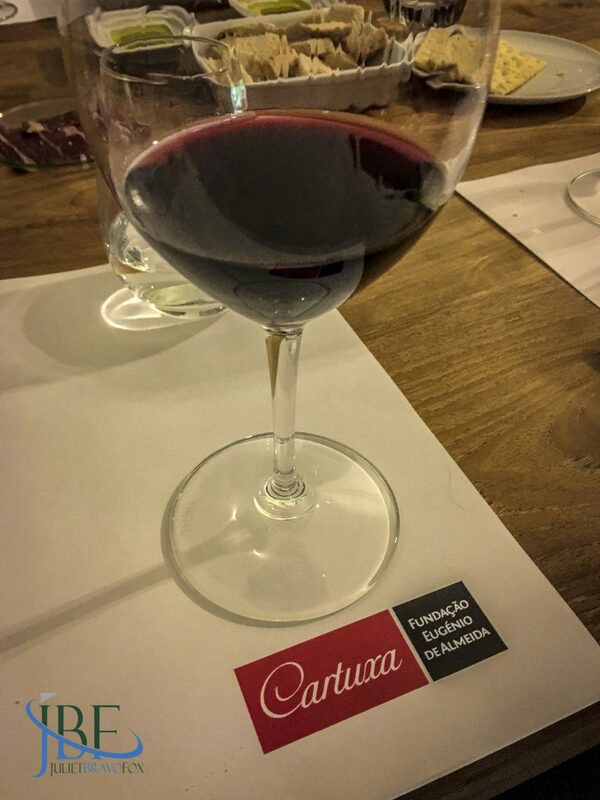 Two expressions of the Cartuxa tinto came next, the Colheita 2015 and the Reserva 2014, with the rich fruit and peppery aromas and flavors from Alicante Bouschet, Trincadeira, and (in the case of the Colheita) Aragonez grapes. 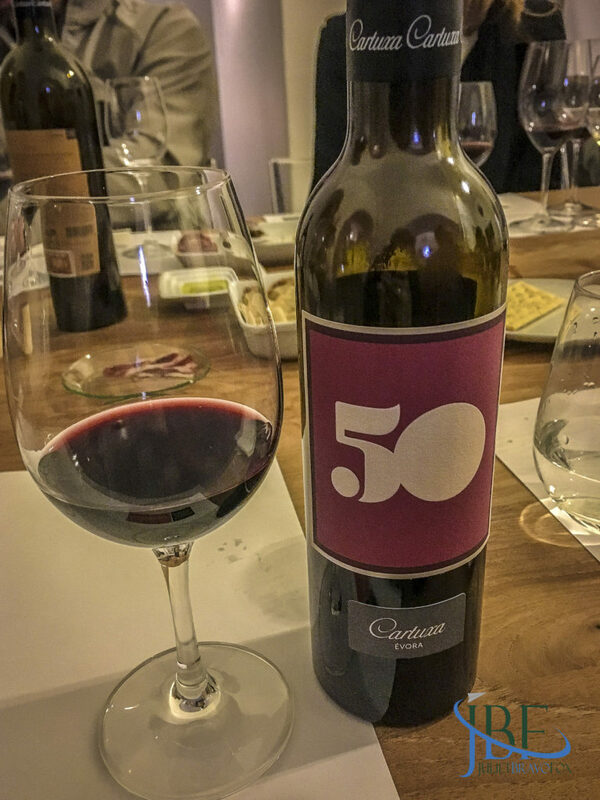 Topping off the tasting was a special vinho licoroso, made to celebrate the 50 years of the family’s recent efforts, vintage in 2011 and fermentation stopped with the winery’s own house-made aguardente, like a Portuguese grappa from its own grapes. This smoky, vanilla-tinged treat would stand up to many a true Port wine—and we took a bottle home to enjoy in a year or two. 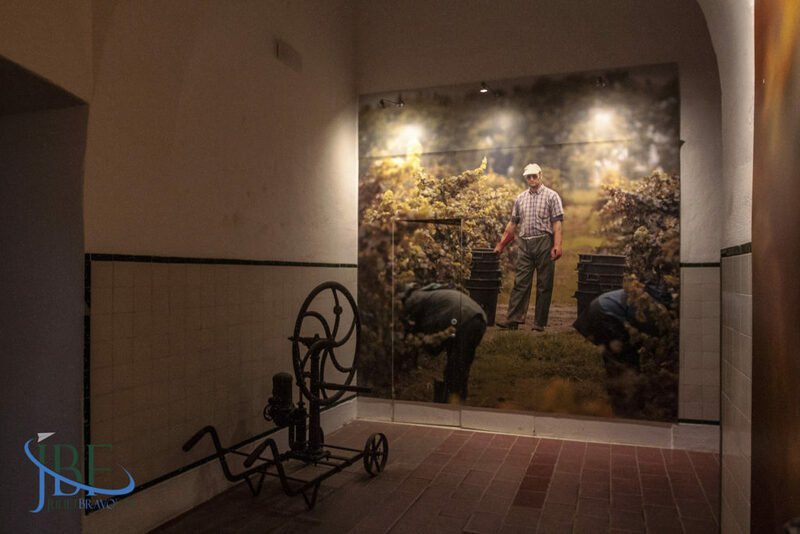 From the Encruzado grape in 2016; 3,500 bottles made. Clear, straw color with medium mouthfeel. Tropical and buttery aromas; taste of baked pineapple. 14,5% abv. From Antão Vaz and Arinto grapes. Fermented partially in oak barrels and stainless steel tanks. Aged on lees for 12 months, and another 6 months aging in the bottle prior to release. Drier, with citrus aromas, like key lime peel. Green apple and abacaxi on the palate with a creamy mouthfeel. 13,5% abv. From Aragonez, Alicante Bouschet, and Trincadeira grapes. Aged in tonneis and French oak barrels for 12 months. Called the “baby Pêra-Manca.” Nose of black pepper and florals from the Aragonez, with a little bit of shitake. Red currants and fresh, ripe raspberries, and a hint of cinnamon on the palate. 14,5% abv. From Alicante Bouschet and Trincadeira grapes. Aged in new French oak barrels for 12 months, then four months in the bottle prior to release. Inky but still like rubies against the light. Nose of pepper, roasted blueberries, clove, and fruitcake. Brambly blueberries on the palate, with moderate tannins and plenty of life ahead. 15% abv. From Alicante Bouschet grapes and adega-produced aguardente. Aged for two years in used French oak barrels and bottled in June 2013. Vanilla extract on the nose; smoky and full of tobacco and deep red fruits on the palate. 19% abv.